Michael Omogberha known as Michael George is a prolific singer, songwriter who respects the power of his art. With a heart that churns love and a voice that warms the heart he incites emotional and spiritual upliftment to those who connect with his unique sound. Hailing from edo state Nigeria, he was born in Lagos on Oct 10th 1987, to Late Mr. and Mrs. Omogberha. He lost both parents at a very early age, his father at 6 and his mother at 15 and was taken in and adopted by The Little Saints Orphanage founded by Mrs. George. With a B.SC degree in Business Administration from Lagos state University, Michael tried out a few 9-5 jobs but eventually quit to follow his love and passion for music. He relentlessly groomed his skill, and recorded many songs, before finally getting into a management company. With a heart that cares for humanity and a strong desire to leave a lasting impact in the lives of many through his music, Michael George is indeed one artist that wears his heart out on his sleeves. He has a mission to draw many to God with his music, and finds his strength in ministering the gospel through his God given talent. He is determined to deliver quality records that will attract both the young and old to the praise of God. His biggest musical influences are Mali Music, Michael W. Smith, Fred Harmon, Donnie McClurkin, Nathaniel Bassey, Kierra Sheard and Don Moen. With his strong and dynamic vocal uniqueness compiled with his energetic stage presence, he has graced the stage with the likes of Midnight crew, Nosa, Monique, Gloria Briamah ushering many into the presence of God. 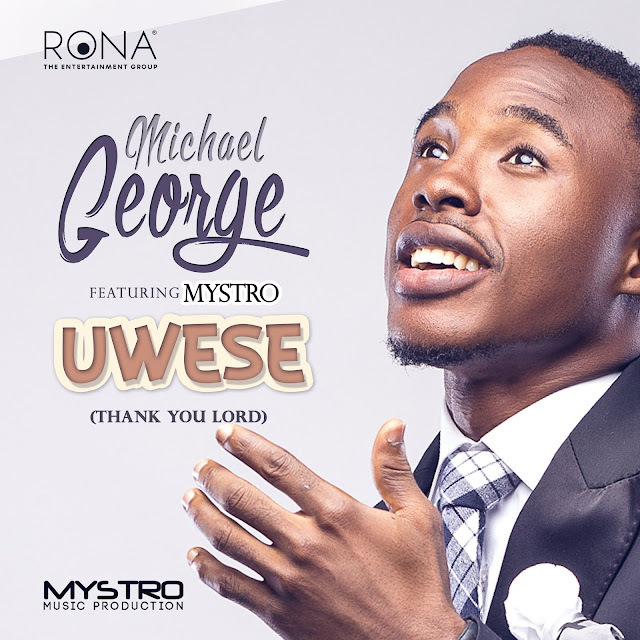 His brand new single “UWESE” meaning "Thank you" in Benin dialect is a song of thanksgiving to God for all that He has done and for crowing the year with His goodness and making lines fall in pleasant places through out the year. "The best way to receive even much more is to be thankful- it is indeed a good thing to give thanks unto the Lord". Michael George is signed to Rona “The Entertainment Group” a Nigerian entertainment and management company.